Fresh off respective nail-biting triumphs Tuesday, the Calgary Hitmen and Saskatoon Blades take to the ice in the Bridge City looking to keep rolling on the WHL on Shaw Wednesday night. 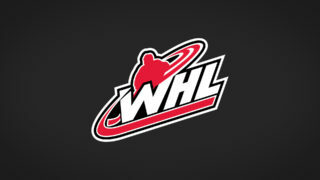 Jordy Stallard scored late in regulation, giving the Hitmen a critical 3-2 victory over the Prince Albert Raiders at the Art Hauser Centre Tuesday night. 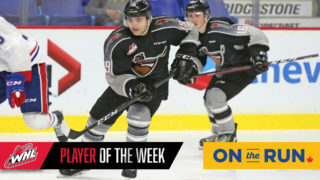 Down south in Moose Jaw, it was Michael Farren executing a dazzling move in the shootout as the Blades struck late to steal two points from the Warriors. Now, the Hitmen and Blades go head-to-head for the first time this season in hopes of building momentum and kick-starting a push back up the standings in their respective division. 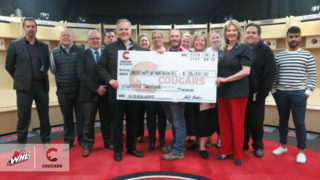 Calgary’s win in Prince Albert served to snap a five-game losing streak. Through 25 games, the Hitmen are 9-14-2-0 and sit fifth in the Central Division, trailing the fourth place Edmonton Oil Kings by eight points. Saskatoon’s win in Moose Jaw ended a three-game skid. Through 30 games, the Blades are 11-17-2-0 and trailing the fourth place Brandon Wheat Kings by six points in the East Division. This marks the first of four meetings between the Hitmen and Blades this season. Matteo Gennaro leads the Hitmen in scoring with 22 points (8G-14A) through 22 games. 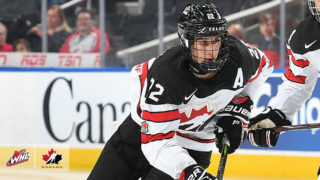 The 19-year-old prospect of the Winnipeg Jets (2015 seventh round, 203rd) has seen support from a host of other NHL prospects, including Jordy Stallard (Winnipeg – 2016 fifth round, 127th), Carsen Twarynski (Philadelphia – 2016 third round, 82nd) and Jakob Stukel (Vancouver – 2016 sixth round, 154th). The Blades were getting solid production from Mason McCarty, who has tallied 23 points (14G-9A) through 26 games, but the veteran winger is on the shelf with a lower-body injury that is expected to keep him out of the lineup for five to seven weeks. 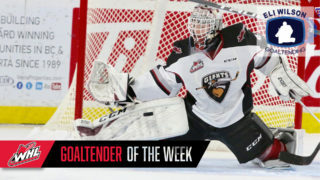 Cody Porter continues to carry the load between the pipes for the Hitmen, going 7-10-1-0 through 19 appearances with a 3.28 goals-against average and .892 save percentage. Logan Flodell was the Vaughn WHL Goaltender of the Month for September/October and has been the go-to guy in the blue paint for the Blades, going 9-9-0-0 with a 3.10 GAA, .913 SV% and two shutouts. Following Wednesday’s meeting in the Saskatoon, the Hitmen and Blades will reengage Jan. 10 back in the Bridge City, before wrapping up the season series with dates in Calgary (Feb. 19 and March 8). Injuries: F Cameron Hebig (upper body, week to week); D Jake Kustra (upper body, day to day); F Mason McCarty (lower body, five to seven weeks); D Mark Rubinchik (lower body, day to day).